The City of Tarpon Springs is located on the Gulf of Mexico. Its name was inspired by a fish, the tarpon, which was abundant in the waters around the city during the late nineteenth century. How the city got its name is attributed to Mary Ormond, daughter of early settler A. W. Ormond in the 1870s. It is said that Mary saw tarpon leaping in the Spring Bayou. The first private landholder in the area was Samuel E. Hope who purchased land on the north side of the Anclote River in 1864. After the Civil War, two brothers from Ocala, Frederic and Benjamin Meyers, purchased land from Hope and established homesteads on the river. In 1876, A. W. Ormond and his daughter, Mary, moved from South Carolina and became the first settlers to live in what are now the city limits of Tarpon Springs. 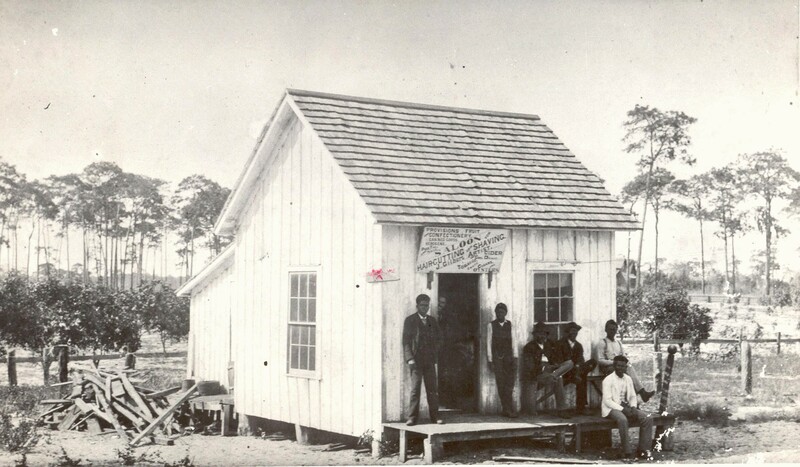 The event that hastened the development of Tarpon Springs, as well as the settlement of much of the southern half of Florida, was the Disston land purchase of 1881. Hamilton Disston, a wealthy saw manufacturer from Philadelphia, shrewdly acquired 4 million acres of Florida land at twenty-five cents per acre from the Florida Internal Improvement Trust Fund. This fund was set up in 1855 to administer State lands that were available for sale to the public. After the Civil War the fund became mired in debt and by state statute, could not sell land until the debt was cleared. Approximately 20,000 acres of the purchase were located in what are now Pinellas, Pasco, and Hillsborough counties. In 1882 Disston’s surveyor, Major Mathew Robinson Marks, conducted the first survey and laid out the town of Tarpon Springs (then called Lake Butler). Disston formed the Lake Butler Villa Company and selected Tarpon Springs as the base of operations because of its location. Gradually the town grew. In 1884 a post office was open with Ed Blum, a Russian Jew, serving as the postmaster. Within a few years, the town had attracted about 300 residents. On February 12, 1887, Tarpon Springs became the first incorporated city on the Pinellas peninsula. The second major event of 1887 was the arrival of the first railroad, the Orange Belt Railway. Three years earlier Granville Noblit, a surveyor the the Orange Belt, surveyed land from Tarpon Springs to St. Petersburg for a railway. The City of Tarpon Springs granted the railroad the land to build a depot. The right-of-way for the line was donated by Disston. Before the trains, the only way to get to Tarpon Springs was by train to Sanford, overland by horse and buggy to Cedar Key, then by steamboat to Tarpon Springs. 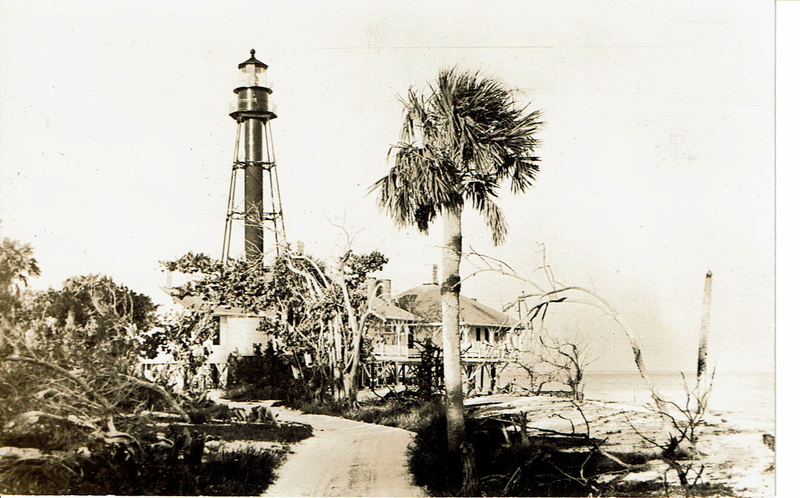 Transportation advances in 1887 also included the construction of the lighthouse on Anclote Key. Disston chose Anson P.K. Safford, a business acquaintance of long standing, to head his activities here. Safford was born in Vermont and grew up in Illinois. At age 20 he moved west with the Gold Rush and was elected to the California Assembly six years later. He was appointed to be surveyor general of Nevada and in 1869 was appointed territorial governor of Arizona. One of his major accomplishments was the establishment of the Arizona public school system. His involvement in Arizona mining ventures made him a wealthy man. He subsequently moved to Philadelphia where he renewed his acquaintance with Disston. Safford became one of Tarpon Springs’ leading citizens and his influence was felt in a variety of ways. He built the first small school and gave land for several churches. He also brought his sister, Dr. Mary Jane Safford, to Tarpon Springs where she opened a medical practice thus becoming the first female physician in Florida. John King Cheyney, son of a wealthy Philadelphia Quaker and associate of Disston became the leading officer of the Lake Butler Villa Company after the death of Anson Safford. He established the sponge industry in Tarpon Springs. It was, however, the Greek immigrants who expanded and refined sponging in Tarpon springs. There had been a sponge industry in the Bahamas and Key West since the 1840s. All sponges harvested in Florida at that time were taken by the hook method. Small dinghies worked along the the Gulf shore with one man to handle the oars while another used a glass bottom bucket to locate the sponges. Using a 20 to 30-foot pole with a pronged hook on the end, sponges were pried from the bottom of the Gulf. In the late 1880s, John K. Cheyney organized a commercial sponging operation, using rowboats equipped with long poles with grapples on the end and a glass-bottom bucket to harvest the sponges. The founding of the commercial sponge industry in 1890 changed Tarpon Springs forever. 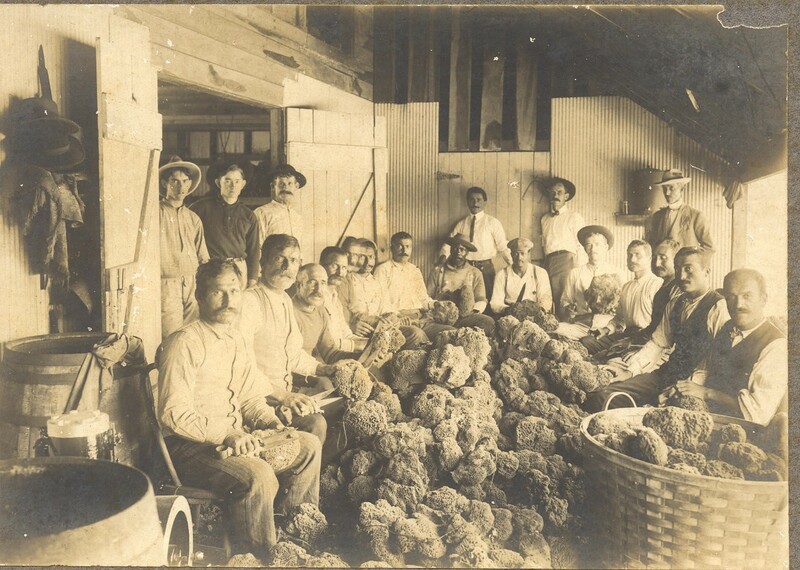 In 1891, Cheyney formed the Anclote and Rock Island Sponge Company. In 1885, the rubberized diving suit had been invented by a Frenchman to protect and assist French firefighters entering a burning building. Cheyney was aware of the technology and soon devised a way to use that technology to make sponging a year-round and profitable industry in Tarpon Springs. John Corcoris, a sponger buyer for a New York firm arrived in Tarpon Springs in 1896. Corcoris went to work for Cheyney and in 1905, recruited 500 Greek divers from the Dodecanese Islands. Corcoris introduced the first mechanized sponge fishing boat to Tarpon Springs, making the industry more efficient. Other Greeks soon followed and businesses were established to serve the Greek community including restaurants, coffee houses and grocery stores. 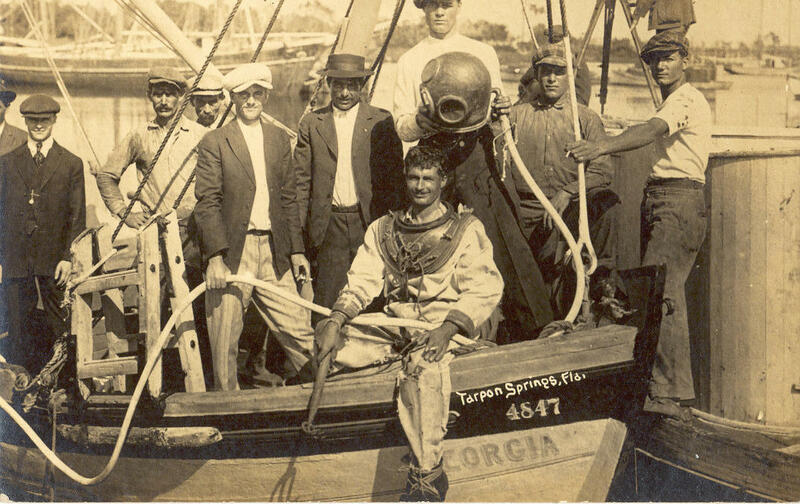 Following the influx of Greek divers, their families, and the accompanying commerce, sponge merchants and brokers came to Tarpon Springs. Their presence helped to create a well-integrated industry. They built boats, loaned money to boat owners, and supplied tools and equipment to the entire sponge fleet. In 1906 the Sponge Exchange Bank was established and in 1908, the Sponge Exchange was founded. Profits from sponging also financed other businesses such as the Sponge Exchange Cigar Company. 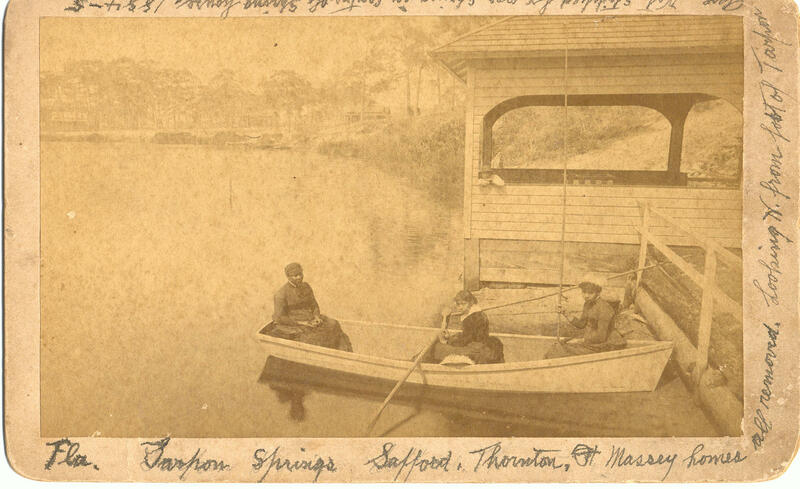 The first African Americans settled in Tarpon Springs in the mid 1880s. They came primarily to work in the lumber mills and the citrus industry. Most lived in cabins built for them near the lumber mill called “Patten’s Quarters.” Some even established businesses. Others arrived in the 1890s from the Bahamas and Key West to work as spongers. Some owned their own boats while others became divers and crewmen on Greek vessels and spoke fluent Greek. African American women were in demand as household staff and several were skilled midwives. Young Black men from Tarpon Springs served in every U.S. war. Among other prominent African Americans were a train engineer, educators, ministers, photographers, city commissioners and in 2010, David O. Archie became the first Black mayor of Tarpon Springs. Tarpon Springs enjoyed the benefits that much of Florida realized in the late 19th century when the state became a popular winter resort for wealthy Americans from various parts of the country. Some of the imposing homes that remain in the city today were built near Spring Bayou during this period. Growth and progress did not come without setbacks. In December 1891 the city lost two of its leading citizens when Anson and Dr. Mary Jane Safford died within a week of each other. During the winter of 1894-1895, two periods of record low temperatures severely damaged the citrus crop, a major source of income for the area. Then in 1894 much of the city’s central business core was destroyed by fire. When merchants rebuilt, they replaced their stores and offices with structures made of brick and stone, with tin ceilings and metal roofs that would be less flammable than the original wooden one. The city required a new look in the decade before WWI. By 1910 Tarpon Springs included an ice plant, an electric plant, two lumber mills, cigar factories, several banks and a post office. The Tarpon Springs high school was built in 1912, a new Atlantic Coastline Depot was constructed in 1909, and the impressive new City Hall opened its doors in 1915. 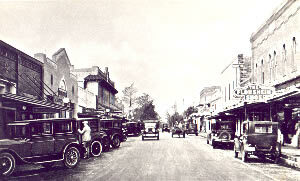 Tarpon Springs experienced the real estate boom and increase in tourism that characterized Florida during the 1920s. Many new subdivisions were laid out, tripling the area of the original town, and a number of impressive buildings were constructed including the Sunset Hills Country Club, the Shaw Arcade Hotel, the Villa Plumosa, a new high school, a water plant and the city’s first hospital. Tourism has replaced sponging as Tarpon Springs’ major economic activity. Thousands of visitors come to the city each year to enjoy the outdoors, play golf or fish, visit the Sponge Docks, experience Greek culture, shop for art and antiques and tour charming Victorian neighborhoods. The Tarpon Springs Area Historical Society, Inc. was established in 1967 with Gertrude K. Stoughton as its first president. The Historical Society had over 100 members who met at members’ homes until the opportunity came to have space in the old Tarpon Springs Train Depot in 1976.